KJV Life Application Study Bible: Hardback by Tyndale House was published by Tyndale House Publishers in February 2007 and is our 16730th best seller. The ISBN for KJV Life Application Study Bible: Hardback is 9780842316361. This incredibly designed bible is the perfect tool that works great, when scripture and biblical geological locations needs to be broken down for those who have a hard time interpreting biblical concepts,or for those who have just become new to the christian family. This bible has just raised the limits on reading and understanding the word of God. Got a question? No problem! Just click here to ask us about KJV Life Application Study Bible: Hardback. Is the text in the KJV Life Application Study Bible: Hardback in single column format? 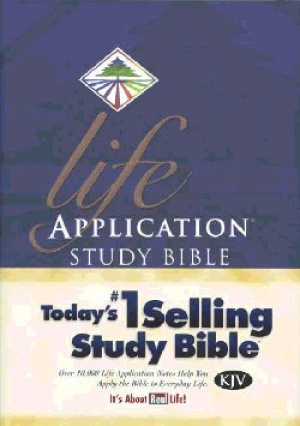 A:Yes the text in the KJV Life Application Study Bible: Hardback is in single column format.